The Dover Republican is potentially facing multiple investigations for questionable donations to his campaign and failure to disclose his assets according to federal law. 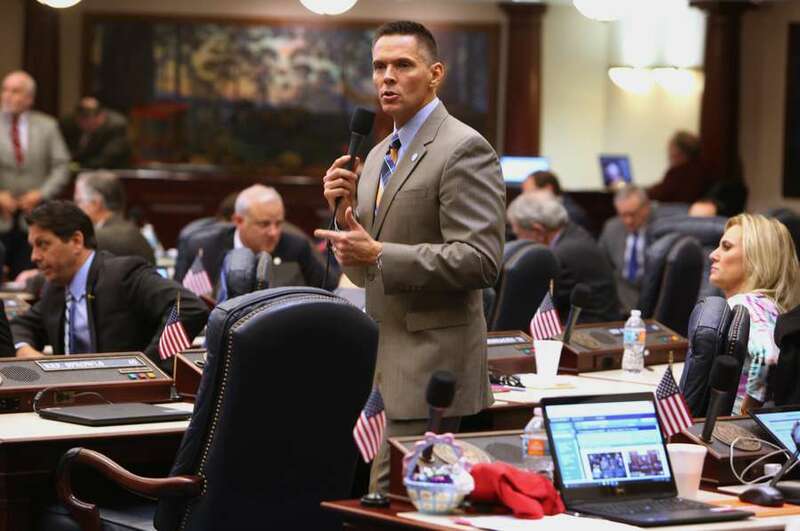 Like most new members of Congress, Ross Spano was sworn in Thursday and cast a vote for the next Speaker of the House. Unlike those new members, though, Spano is already under a cloud of controversy. The Dover Republican is potentially facing multiple investigations for questionable donations to his campaign and failure to disclose his assets according to federal law. Another potential violation popped up two days after Christmas, when the Federal Election Commission in a letter flagged $75,000 of Spano's campaign contributions for not fully disclosing the donor. However, it could be months before the public learns the extent to which Spano may be in hot water. One body likely probing Spano's campaign activity, the Federal Election Commission, keeps its investigations confidential until they're resolved. Another, the House Ethics Committee, now run by Rep. Ted Deutch, a Boca Raton Democrat, also wouldn't comment on any looming investigations into Spano. Two of Spano's opponents in the 2018 election, Democrat Kristen Carlson and primary foe, former Republican state Rep. Neil Combee, have asked for an FBI investigation. 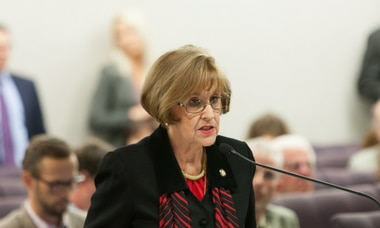 It means Spano is likely to continue to represent Florida's 15th Congressional District, which covers parts of eastern Hillsborough, for the foreseeable future. Unlike another Republican embroiled in scandal, North Carolina's Mark Harris, Spano was seated Thursday along with the rest of the new Congress. 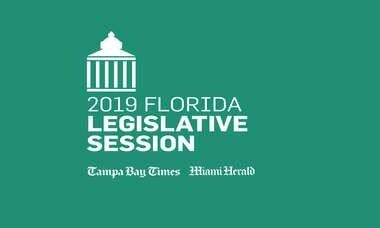 For his part, Spano, a lawyer and former Florida state representative, has remained quiet since his November election. He has repeatedly declined requests for interviews. Spano's only public words in two months came Thursday, when from the House floor he pronounced: "Kevin McCarthy," his choice for House Speaker. He did not return a phone call Friday. Neither the offices of McCarthy nor House Speaker Nancy Pelosi responded to a request for comment regarding Spano. Pelosi had previously said she was "tracking" developments with Spano and Harris. Spano's troubles started just days before the election when the Tampa Bay Times reported that he had failed to file the financial disclosure forms required of all candidates running for Congress. He turned them in soon after, for the first time revealing that he had received $94,500 in loans from two friends in 2018, Cary Carreno and Karen Hunt. The timing of those loans coincided with loans Spano reportedly made to his campaign from his personal wealth, the Times reported. In a filing with the Federal Elections Commission released Dec. 1, a lawyer for Spano acknowledged the candidate borrowed $180,000 from Carreno and Hunt from June through October, and then loaned his campaign $167,000 in roughly the same time period. Spano recognized those loans "may have been in violation of the Federal Campaign Finance Act," his lawyer wrote, and blamed former campaign treasurer Jamie C. Jodoin of the St. Petersburg-based Spoor Bunch Franz for providing bad advice. Jodoin previously told the Times she didn't know the loans came from Spano's friends. She also said that one of those friends, Carreno, fired her from the campaign in November. The Federal Elections Commission is likely reviewing whether those loans assisted Spano's campaign, and would therefore be considered a contribution. Federal law caps contributions at $2,700 in a primary and $2,700 in a general election, well below the amount given by Carreno and Hunt. Spano's campaign has said the candidate's willingness to come clean to the Federal Elections Commission after the election is a sign he meant no harm. However, Spano has yet to explain why he waited until November — four months after the deadline — to file his financial disclosure report with Congress. That report could also be problematic for Spano, as it lists the contributions from his friends as loans. Filing a false financial disclosure statement could lead to a fine of $50,000 or up to five years in prison.